Helping Military Veterans Get The Disability Benefits They Deserve! 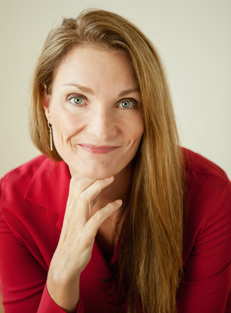 Jodee earned her Bachelor of Science degree in Business Administration in May 1989 from the University of Nebraska-Lincoln. She received her law degree from the University of Tulsa College of Law in December 2000. Immediately after law school she began working for the Department of Veterans Affairs where she was extensively trained and educated by the VA on the disability rating schedule, and applicable federal regulations. She was a member of several specialized teams within the VA that worked on appeals and remands from across the country. She has written thousands of disability appeal decisions on behalf of the VA to determine disability entitlement. In 2009 she began her own practice so the experience gained as a VA insider could be used to help the veterans and their families across the nation reach success with their disability claims. Jodee is admitted to practice in the following jurisdictions and courts: Ohio (2001), and the U.S. Court of Appeals for Veterans Claims (2008). She is accredited by the Department of Veterans Affairs (2008). She is a member of the bar association for the Court of Appeal for Veterans Claims and a member of the National Organization for Veterans’ Advocates, Inc. (NOVA).